By: Fr. John Kenneth Campbell O.F.M. 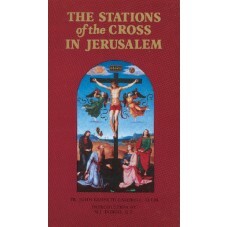 This luxuriously illustrated volume is intended for pilgrims and visitors to Jerusalem, the Way of the Cross - the Via Dolorosa, and the 14 Stations of the Cross. It is an intelligible account of the origin, meaning and development of this pious practice. The Way of the Cross is placed in its appropriate setting - the topography of the city, historic events and the Jerusalem of our time. 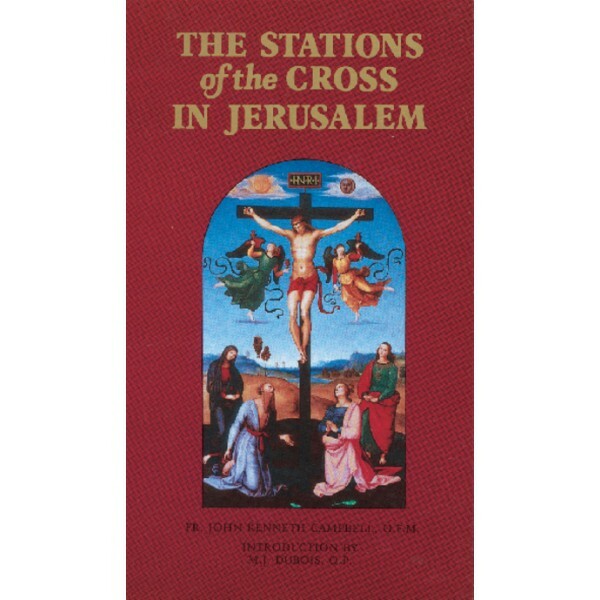 Nearly Everything You Wanted to Know about "The Stations of the Cross in Jerusalem" you can find here! Did you know that a certain number of the Stations of the Cross of the Via Dolorosa in the Old City of Jerusalem are all within the Church of the Holy Sepulchre. How many of the Stations of the Cross are along the Via Dolorosa and how many are within the Church of the Holy Sepulchre. What are their numbers? Was the concept of the Fourteen Stations of the Cross formulated in ancient Jerusalem at the time of Jesus and his Disciples? "The Stations of the Cross in Jerusalem".